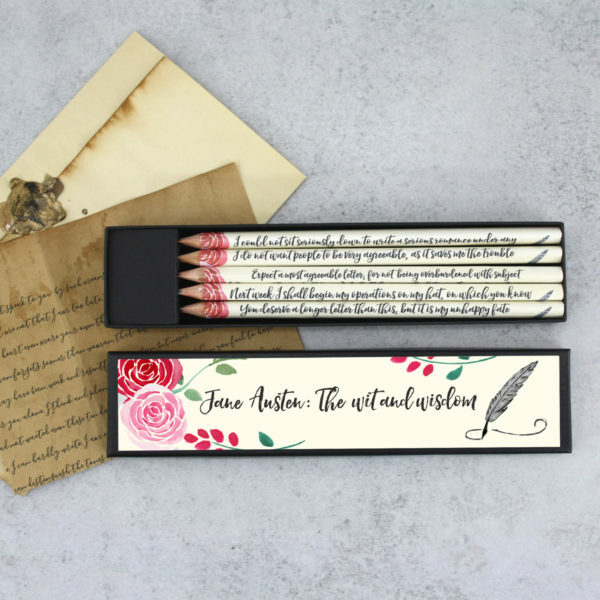 The wit and wisdom of Jane Austen. 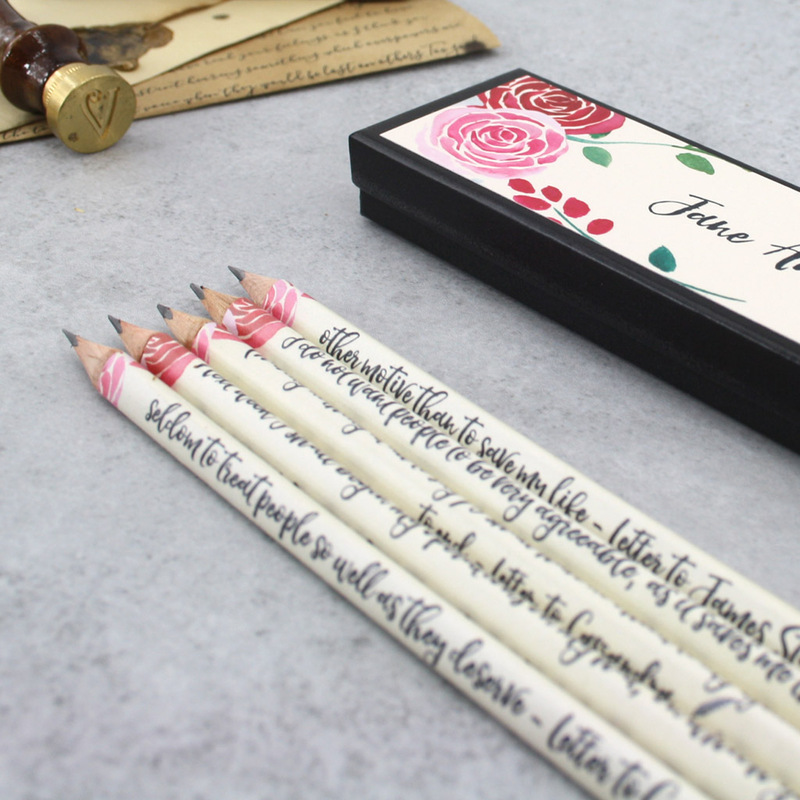 Witty and wise quotes from the letters that Jane wrote to her sister Cassandra, her niece Fanny and others. 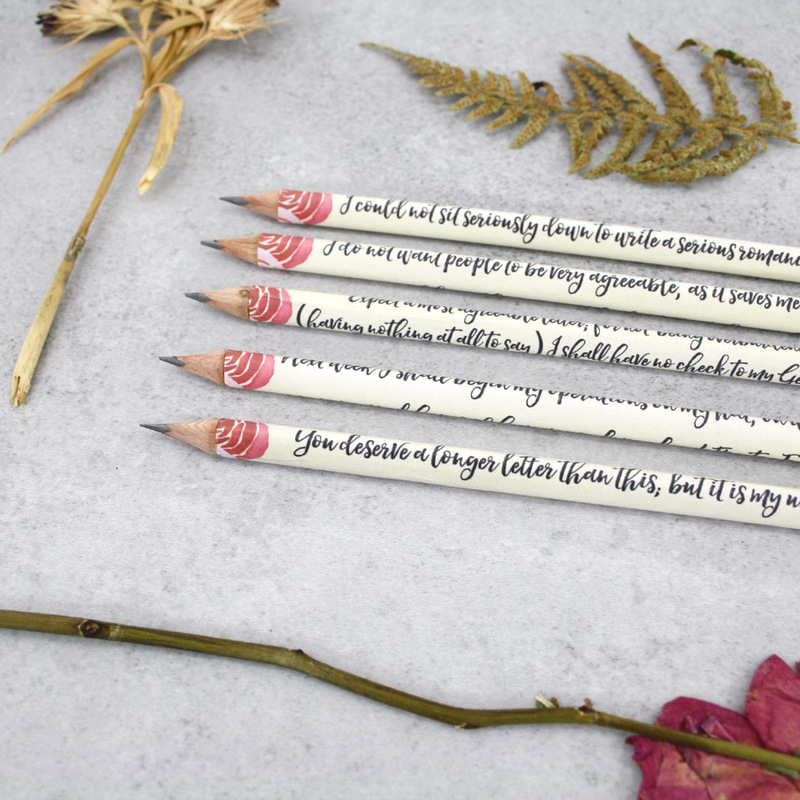 Five HB pencils hand covered in Jane Austen’s own words. Read Austen’s witty repartee as you write your own. 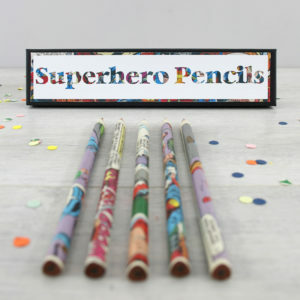 The pencils come presented in a custom designed pencil box. 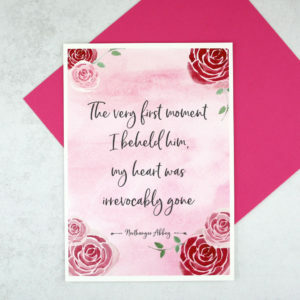 Building on my Jane Austen literary gift collection, I now give you quotes that Austen probably never thought would be published. 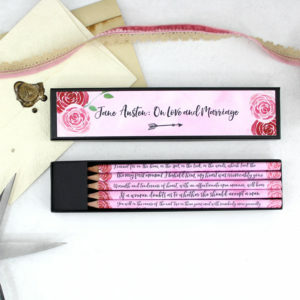 For this set I have concentrated on excerpts that show Austen’s clever turn of phrase, her quick mind and acerbic wit. 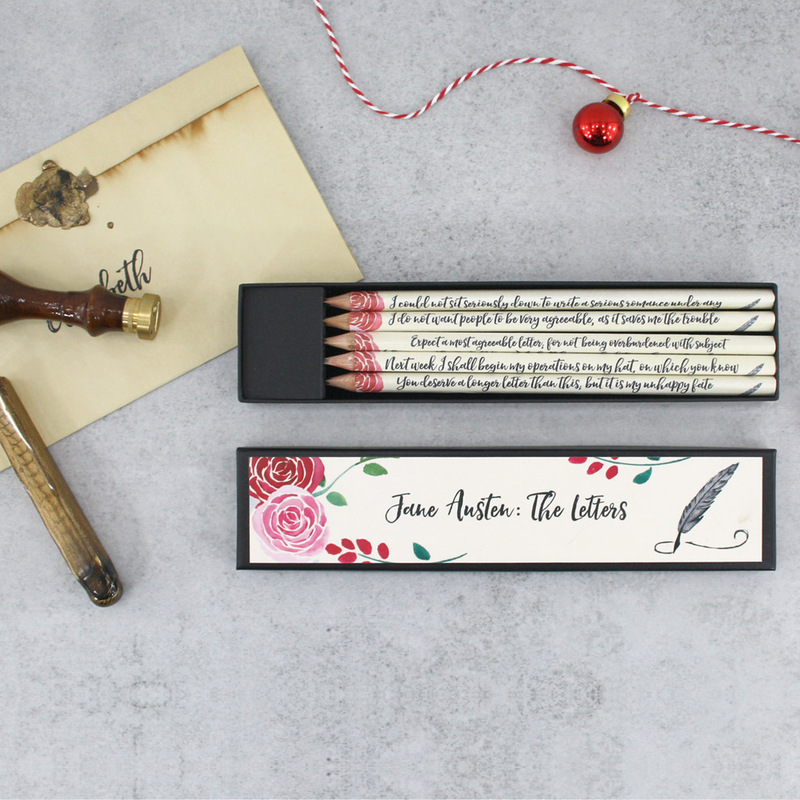 The perfect stocking filler gift for any bookworm. 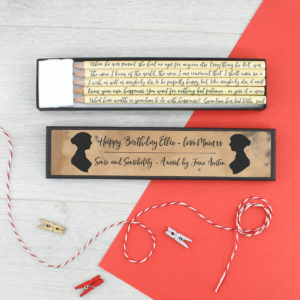 An ideal birthday present for a Janeite. 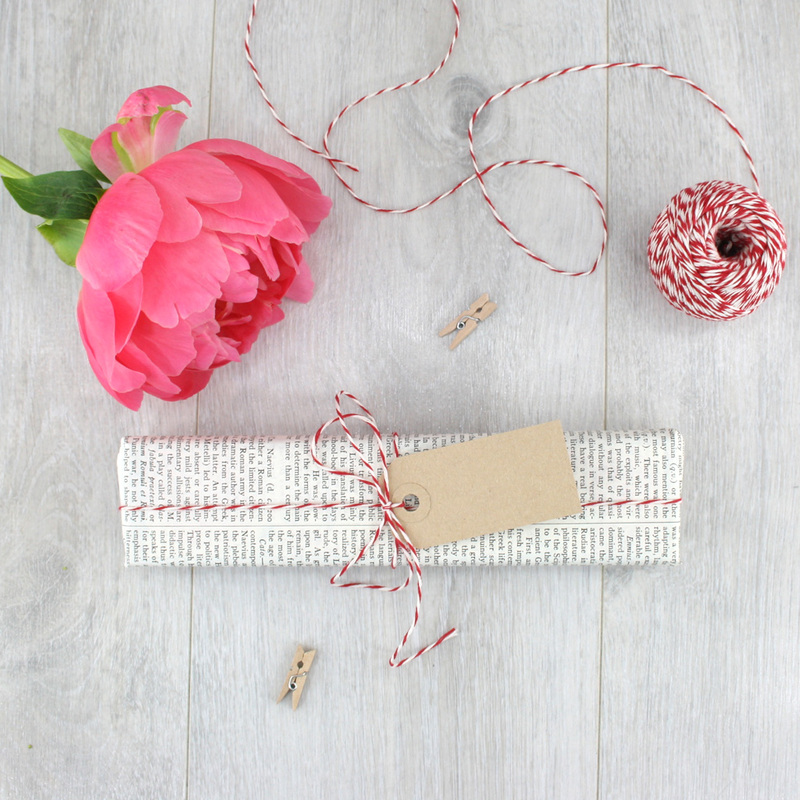 Or perhaps the best gift, why not treat yourself! 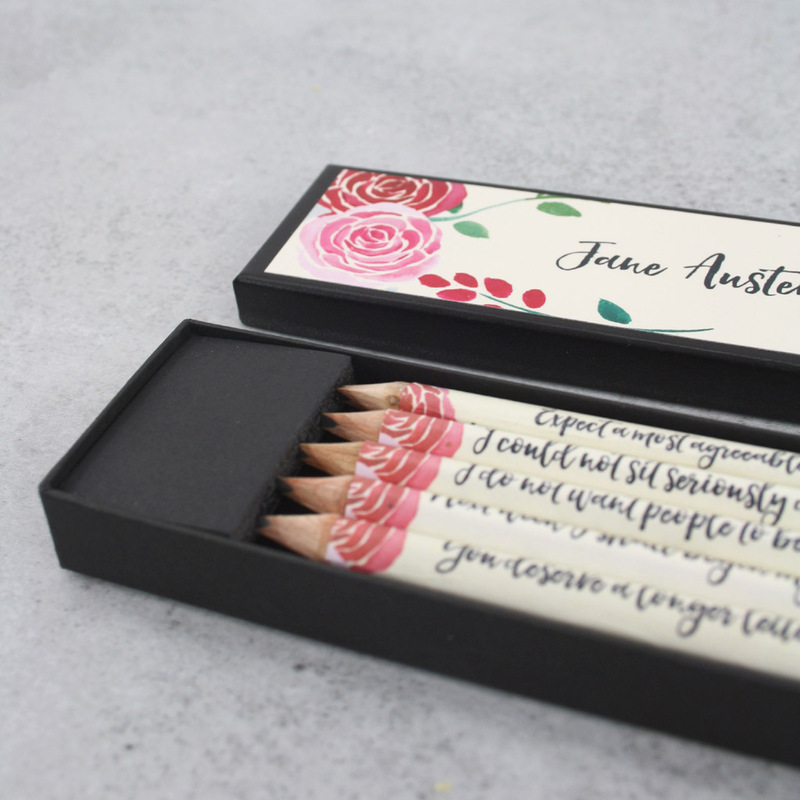 This set of quote pencils was created by taking five of my favourite witty and clever quotes from the letters of Jane Austen. Showing both her and wit and her wisdom! 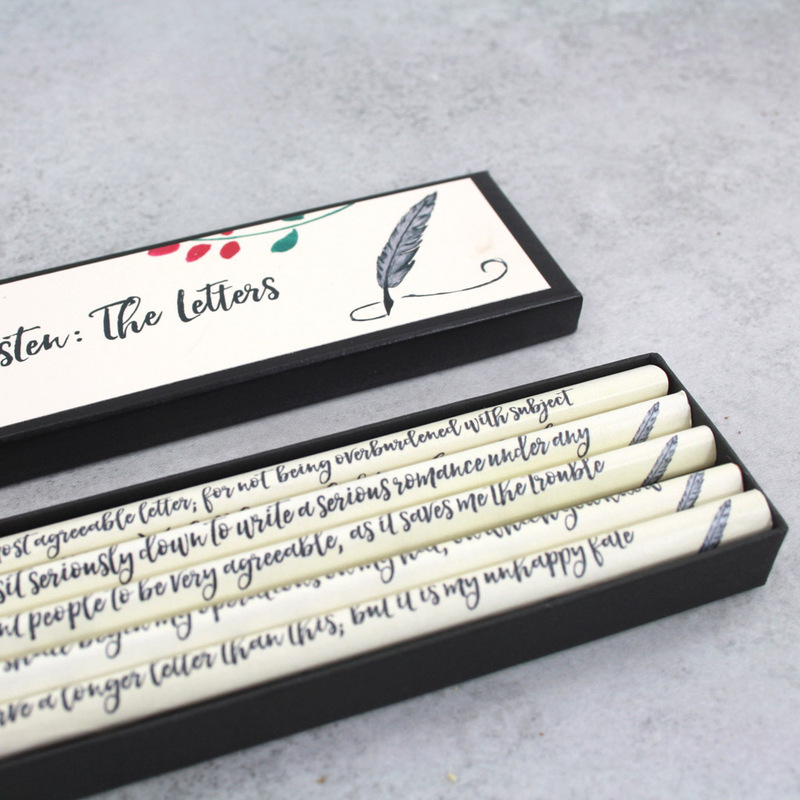 The quotes are from letters that she wrote to her sister Cassandra, her niece Fanny and others.